After 11 years of homeschool, Munchkin is adjusting well to high school life at the local community college and enjoying it so far. I can’t believe how much high school has changed! 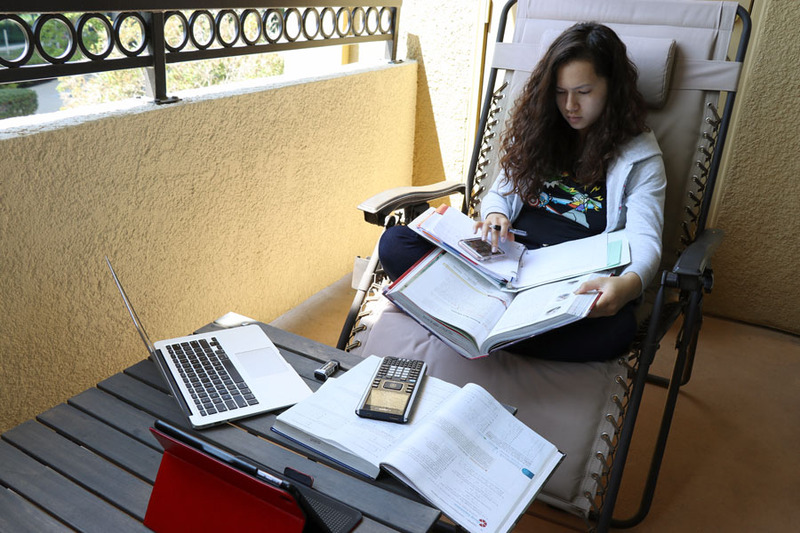 Now kids have to bring laptops for assignments, tablets for ebooks and digital library loans, log onto something called School Loop to get homework, and collect cell phone numbers of other students for group projects. While some paper is still involved, most everything is digital these days. The wide use of technology is a great asset in learning. However, there are drawbacks to having teens online and cyber safety is a real concern. With all these devices being connected to the internet, they become vulnerable to malware and viruses. They can be used to send unwanted images, to bully other students, or to cheat on tests. 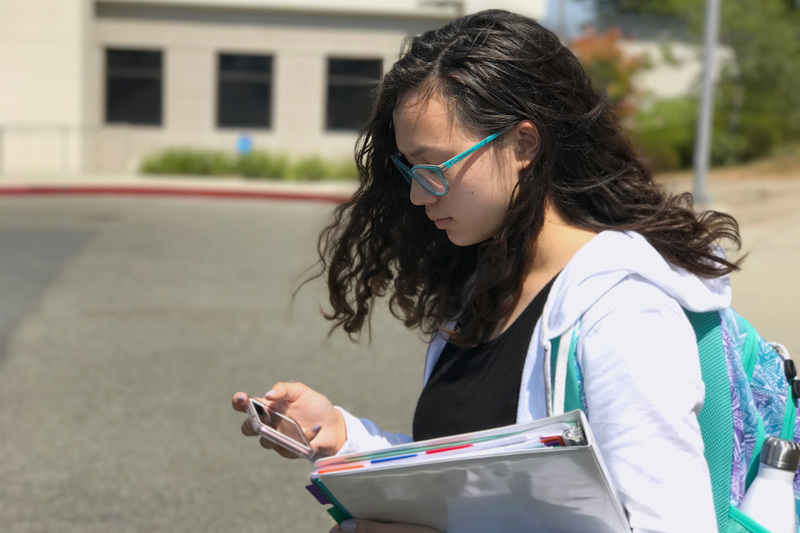 McAfee conducted a survey called Cybersecurity 101: Teens in the Classroom and discovered some pretty interesting findings regarding the use of online devices at high school. More than half (57%) of students spend three or more hours per day using an internet connected device during school hours for school-specific work. When it comes to getting around cyber restrictions put in place by schools, 24% of the students have successfully accessed banned content. Almost one out of every four (22%) students have been cyberbullied, and 44% are experiencing or seeing it before the 9th grade. Facebook (69%), Instagram (46%) and Snapchat (38%) are the most used social networks for cyberbullying. Almost half of students (47%) claim to have seen or heard of another student using a connected device in the classroom to cheat on an exam, quiz, project or other assignment – with only 21% admitting to doing it themselves. Crazy, right?! Schools try to set up processes for cyber safety but there are gaps. And, as teens get older, the survey found that parents and teachers are less likely to talk with them about how to avoid or combat the dangers. That’s unfortunate. In our experience, it’s even more important to talk with our daughter about cyber safety now than ever before. She’s online so much and has to interact with other people to a greater degree. So, the likelihood of her facing the issues mentioned above is increased. We have talked A LOT with our daughter about the internet safety over the years. She knows not to share personal information, to avoid accounts of people she doesn’t know, the dangers of “disappearing” social media, and to be careful about passwords on public or shared computers. But, we have to stay on our toes. As technology continues to change, so do the methods that people use to stir trouble. Just the other day, Frans warned Munchkin to make sure her AirDrop was either off or on “Contacts Only.” In case you didn’t know, AirDrop is a feature on iOS devices and it allows people to send files between phones in close proximity. We use this often with family and friends. There are stories, though, of strangers sending inappropriate photos to any open iOS devices nearby (when AirDrop is set to “Everyone”). Scary! So what do we do? We can’t lock her up in a box to avoid the internet at all costs. She has to do her schoolwork, get information from teachers, and she needs to be able to contact classmates. Well, along with the survey results, McAfee also compiled expert tips for teens, parents, and for schools about cyber safety. The key component in all the tips seems to be communication. Setting guidelines, discussing precautions, and knowing who to turn to in case something goes south are all important steps. There are dangers that communication alone can’t protect your kids from though. 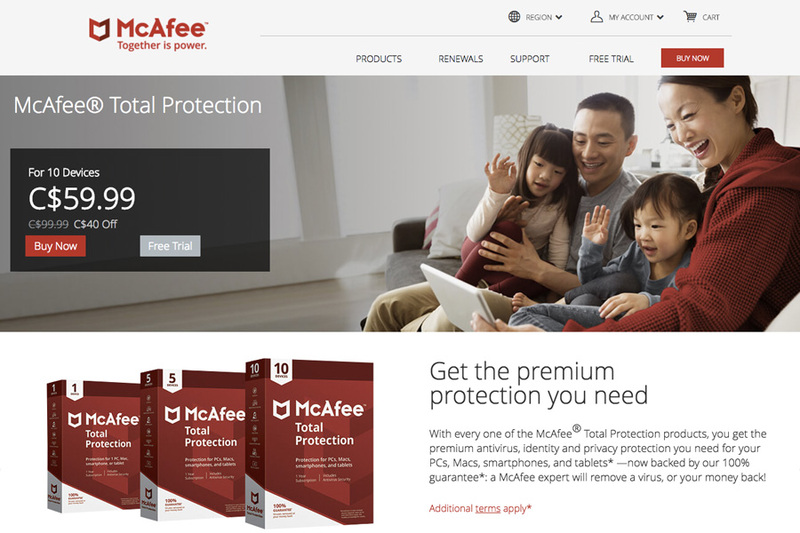 For those, parents can turn to McAfee Total Protection for backup. McAfee Total Protection is a service which helps ensure that your devices have protection against malware, phishing attacks, and device-specific protection in the event of loss or theft. McAfee Total Protection can protect up to 10 devices for $99.99 per year. I had early access to test it out and everything has been running smoothly. We had no issues installing it on our laptops, tablets, and phones. Plus, it’s comforting to know that our devices are protected from most attacks. Now we don’t have to worry if a teacher sends Munchkin a file or links to an outside resource. She can click on it without fear of downloading a virus to her device. And, even though we mostly use Apple/Mac devices, these can still be hacked or infected with malware. So as your teens go back to school, don’t let them face online dangers unprepared. Make sure to talk to them about the pros and cons of being connected, teach them about cyber safety, monitor their activity on social media, take advantage of tools like McAfee Total Protection, and be aware of provisions or guidelines from your teen’s school. Equipped with all this, your kids will then make it through the new high school year unscathed and you will be able to breathe a little easier when they’re not with you. This post was sponsored by McAfee. I was compensated to share these survey results and tips while offering my take on them. All opinions are my own. I was researching phone plans for my daughter and your excellent blog page appeared. I find I am constantly teaching/reminding my daughter; my wife; my siblings’ kids and others how to protect themselves online and how to set security on their iphones/iPads/droids and other tablets. It’s and endless battle though at least they remember most of the time now. I work with desktops/laptops and all manner of beast with mobile devices. Thanks to your blog though, you are getting the word out.